While I was in St. Louis with Mom, we drove by the new Ballpark Village across from Busch Stadium. It looked like a place I needed to explore and I made arrangements for a trip back before I had even left. I picked a date when the Mets would be playing St. Louis. To make it even more interesting, I brought along my friend Amy – a Cardinals fan. We were running a little late so we quickly checked into the Drury Inn & Suites Convention Center and grabbed a cab to Busch Stadium. It was close to 100 degrees and the temperature was climbing so we were happy for an excuse not to walk. Our private tour of the Stadium began at the Third Base entrance we learned about the old and the new, the history of the original stadium and Anheuser Busch, as well as the construction of this new venue that opened in 2006. We loved being able to get into the stadium before the game. We were able to watch some of the players warm up and even climb into the Cardinals dugout. 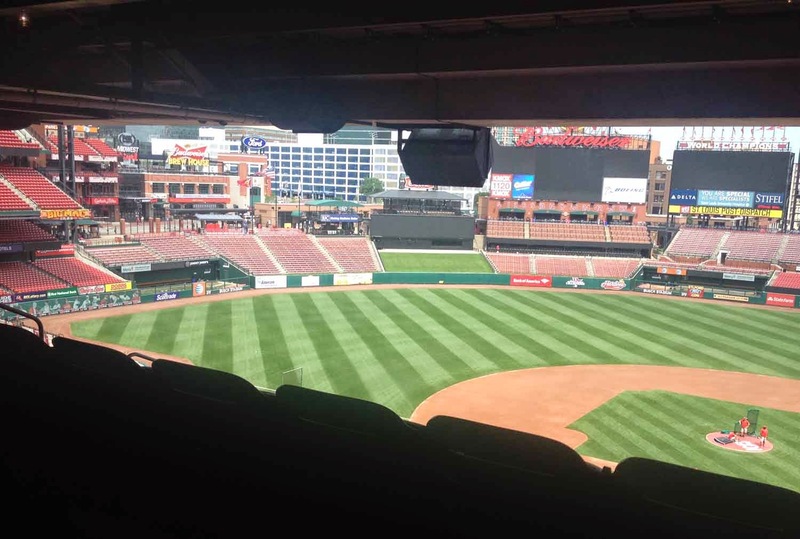 Amy and I also toured all the suites in Busch Stadium, each of which offers different amenities. It was certainly a day when the air conditioning would be appreciated by anyone who had suite access. Before we left we even were able to go up to the Broadcast Booth to get a good look at how the announcers see the game. We headed across the street and had a snack and drinks at the Budweiser Brew House before we met Andrew Hagene, Director of Marketing and Entertainment. 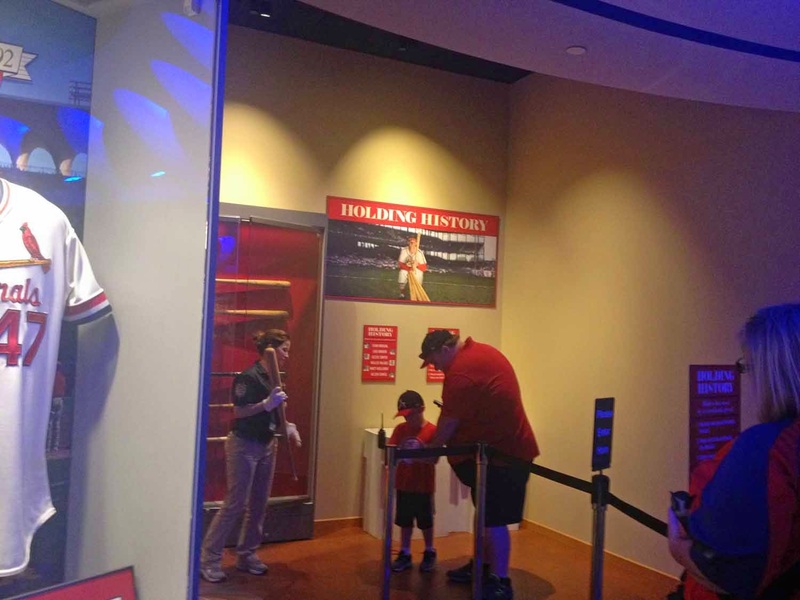 Andrew took us for a tour of Ballpark Village and the St. Louis Cardinals Hall of Fame Museum. Since it was just hours before a home game, the place was buzzing with excitement. We were thankful for the roof on this blistering day. We went upstairs and saw some of the other options at this entertainment complex: PBR, which has a mechanical bull; Howl at the Moon, a dueling piano bar; Tengo Sed, a Mexican restaurant with live entertainment; and the Skybox. 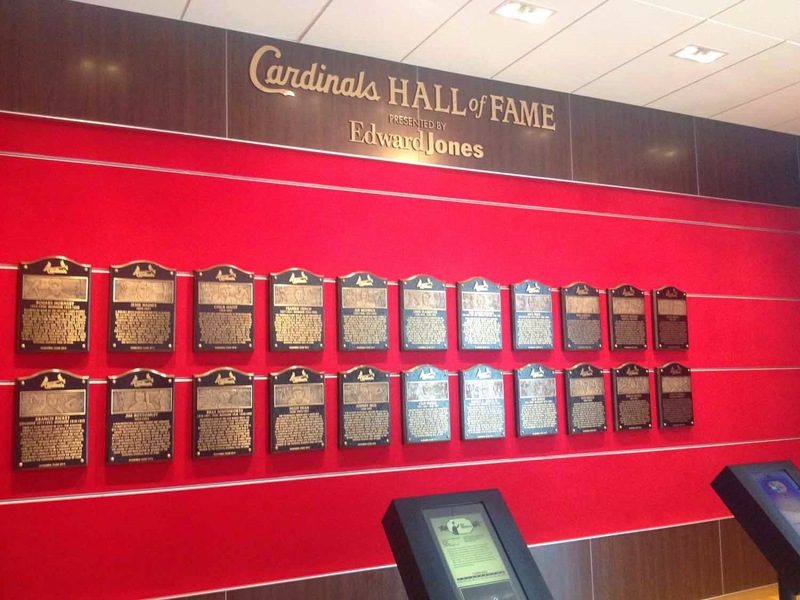 Next, we took a tour of the St. Louis Cardinals Hall of Fame. Despite the fact that the Cardinals are not my team, I really enjoyed their museum. It’s actually a good history of baseball – and beer. 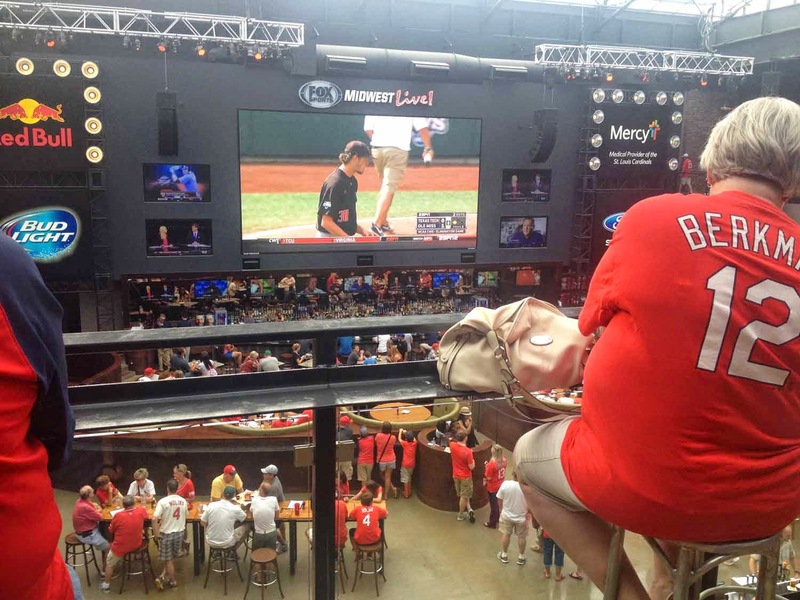 You can watch the game right across the street at the Cardinals Nation AT&T Rooftop or Budweiser Brew House rooftop. I was amazed at how close the field seemed and look forward to trying the experience someday, but we headed back to the stadium to watch the game. A pedestrian walkway between the Village and the Stadium is constantly filled with fans during the games, but it didn’t take us long to walk through and find our seats. 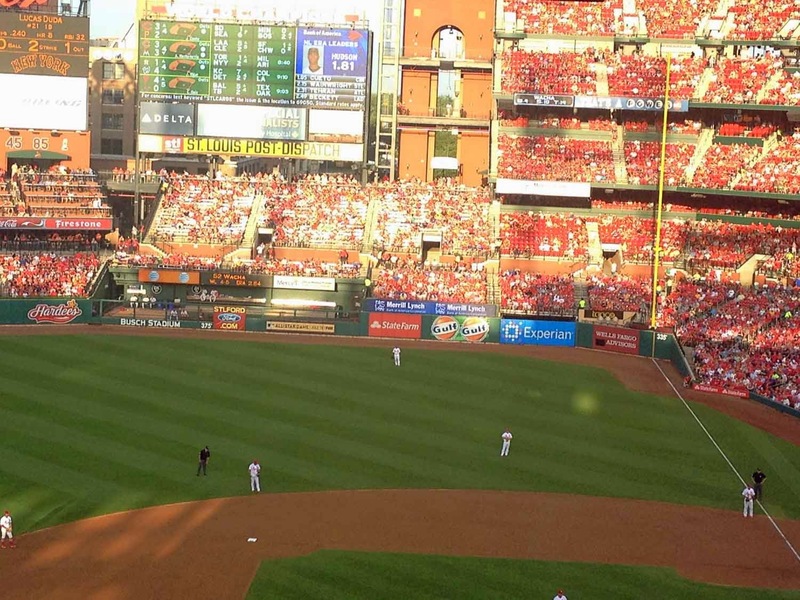 Our seats had access to the Redbird Club, which offered lots of food and drinks for sale. We were also thankful for the opportunity to step inside to watch the game in the air conditioning whenever we wanted. 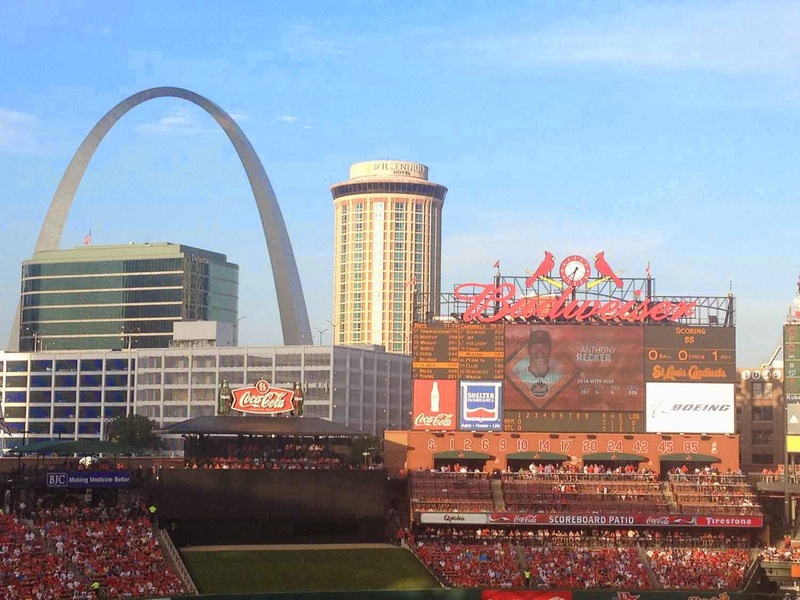 The view from the ballpark in St. Louis is one that can’t be missed. You can see the Gateway Arch and a huge Budweiser sign that certainly means more in this city than anywhere else in the world. Although I have not had much time to follow the Mets this year, my loyalty is still there and I was close enough to recognize David Wright, whose number my daughter has been wearing for years. Obviously, the bars are built for beer lovers here. While Amy enjoyed the brews, I tested out the wine and a Mud Slide, both of which I felt weren’t worth the price. 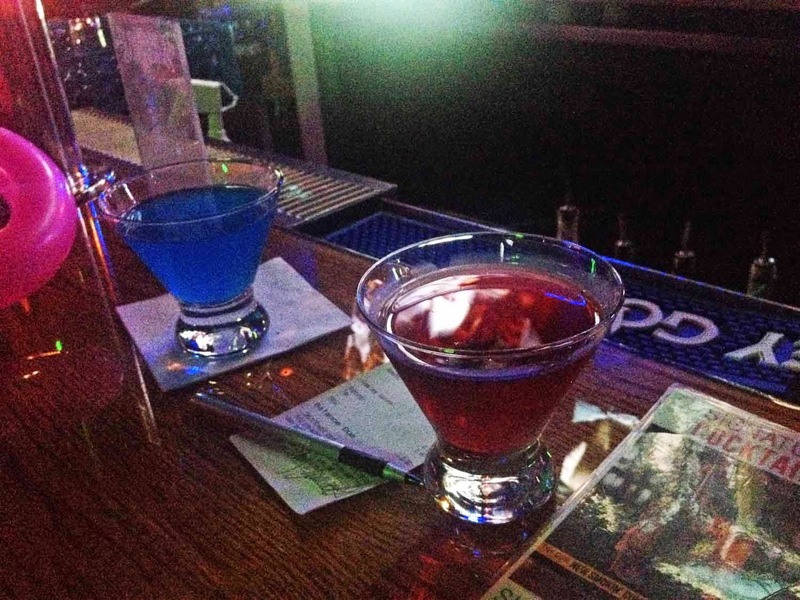 I would suggest non-beer drinkers go straight for the mixed drinks and leave the cocktail concoctions for another place. 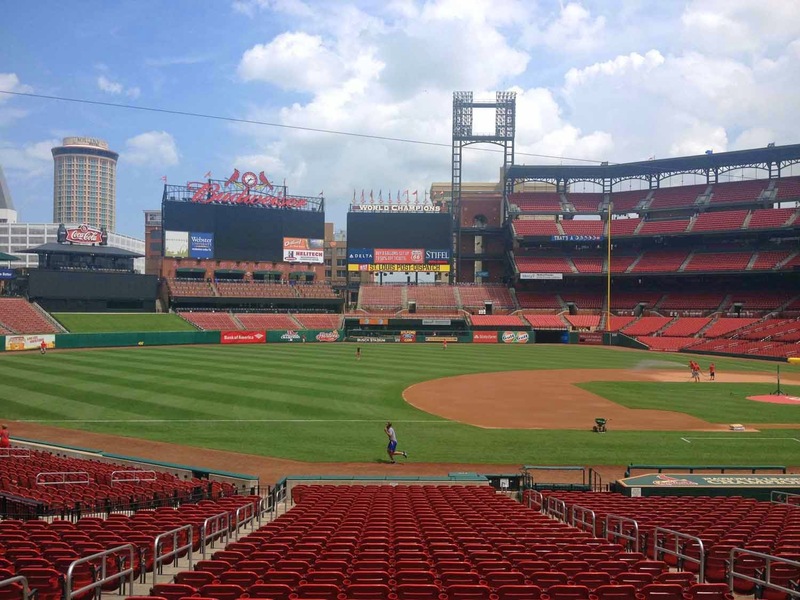 The food selection at Busch Stadium is enough to please anyone, from game day favorites such as hot dogs and soft pretzels, to barbecue, Polish Sausage, Mexican, and turkey legs. Before we left, I couldn’t resist what one fan told me was “the best bargain at the ballpark,” a frozen custard cone to cool me off before I faced the heat. 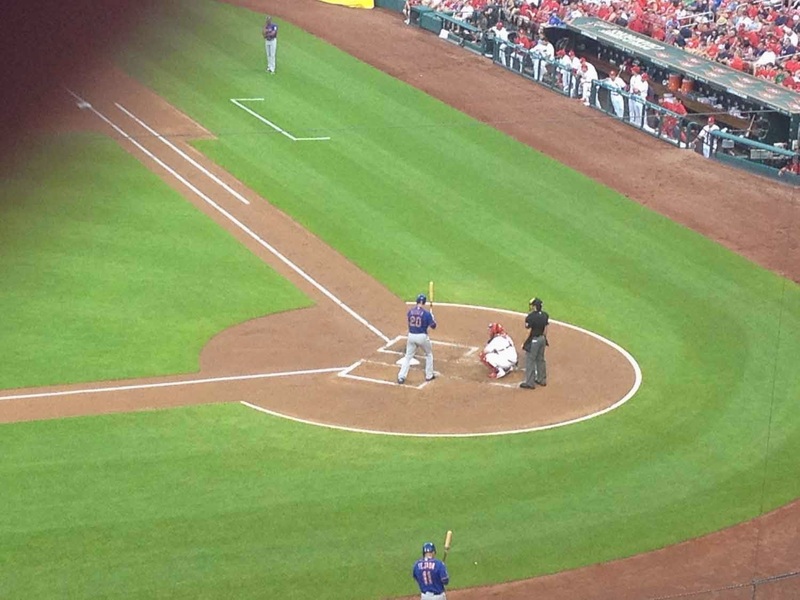 It was also my ode to defeat as the Mets had fallen to the Cardinals, much to the pleasure of the local crowd. I would definitely return there for the entertainment as well as the cocktails, which were as simple as the 100 calorie Skinny Tea (Firefly Skinny Tea Vodka and Peach Schnapps), and as interesting as Disco Lemonade (Bacardi Wolf Berry Rum, SKYY Vodka Wild Strawberry, Blue Curacao, Sour Mix, and lemon-lime soda). After breakfast at the Drury Inn, we headed back to Champaign, already planning next year’s St. Louis trip for a Mets vs. Cardinals game – which, of course, the Mets are going to win.